Home Archive by Category "BJJ Techniques and Positions"
The history behind some of Jiu Jitsu’s trademark positions and techniques, from the early days of grappling and self defence to present day with its ever evolving game as a combat sport and a martial art. One of the most common and talked about positions in modern day jiu jitsu, the Crab Ride has revolutionized BJJ. Find out all you need to know about this maneuver, from how it started to learning how to perform it. The Truck in jiu jitsu is a hip control used by jiu jitsu practitioners and wrestlers with the intent of holding an opponent in order to advance for the back, establish a pin (wrestling) or use it to force a tap. In this article you will read about the evolution of the position in the sport of submission grappling. The cross choke, one of the most common submissions in Brazilian jiu jitsu and also one of the sport’s oldest positions. Learn the history of this strong stranglehold, its roots and the key players in the development of this choke. In the art of grappling, keeping control of your opponent is not only a key element of the game, but its purpose. 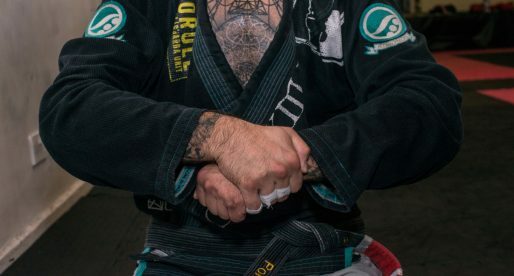 Grips are of the utmost importance, but which are the most common hand grips in jiu jitsu? In this piece with give you the top 5 hand grip examples in our sport. 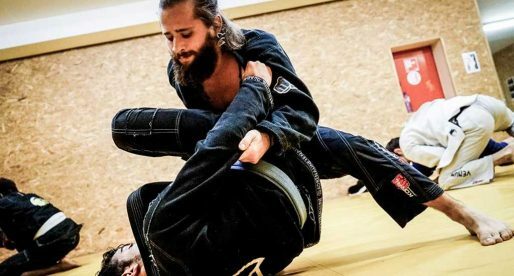 All you need to know about the history and evolution of the Leg Drag, a grappling position commonly used as a way to control an opponent’s hips before advancing to a guard pass. This guard pass is recognised as one of the basis of moden day jiu jitsu. The heel hook is a grappling submission hold used to force an opponent to quit (tap-out) thus ending a match in either jiu jitsu, sambo, catch-wrestling or mixed martial arts (MMA). Find out more about this important grappling position here. The Bow and Arrow Choke as well as the Standard Collar Choke From the Back are two grappling positions, common to Judo and Brazilian Jiu Jitsu, where the attacker will use his opponent’s lapel to achieve the submission, this way ending the match. Both positions are usually achieved from back control, though it is not imperative for the control to be secured in order to apply either of the chokes. The creation and development of one of Brazilian jiu jitsu’s most controversial guards, the 50/50 Guard. Find here the history of this position as well as who the main developers of the 50/50 Guard were, and the battles the position faced in the jiu jitsu community. The Caio Terra Foot-Lock, also known as the De La Riva Ankle Lock, is a submission hold that works by utilizing the famous De La Riva hook as a way to isolate the foot joint, then using this to then apply the pressure using similar grips to the straight ankle-lock. The position was named after the man who developed this submission: Caio Terra, a Brazilian jiu jitsu world champion who applied this position numerous times in grappling matches throughout his competitive career. The Reverse De La Riva Guard/Hook, also known as Spiral Guard, is a grappling position whose development started in the early 2000’s, being highly popularized in the 2010’s decade through the reverse berimbolo back take (also named kiss of the dragon). Explanation and history of the stand-up guard pass, also known as Carlson Gracie guard pass. A method of opening a Jiu Jitsu closed guard, whose creation is attributed to the late Master Carlson Gracie during the mid 1980s. 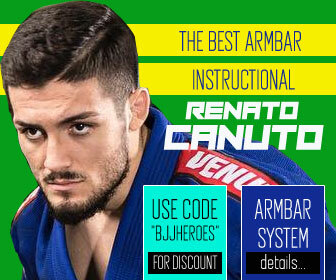 One of the most utilized submissions in grappling and mixed martial arts competitions, the armbar is also one of the most traditional types of joint locks utilized in combat with it’s history dating back to ancient Greece. 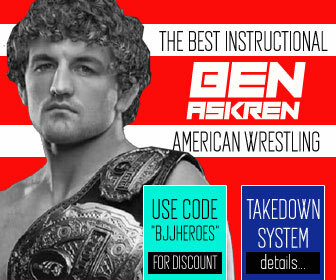 Find about the history of the submission as well as some of the sport’s most memorable armbar wins here. The butterfly guard, a style of guard playing made famous by grapplers such as Marcelo Garcia, Terere, Leonardo Santos or Renzo Gracie (to name a few) and one of the classic guards to play in the combat style of Brazilian jiu jitsu. On this article we go through the history and the various stages of the butterfly guard in the grappling world. One of the most common submissions in Brazilian jiu jitsu and grappling competitions around the world, the americana is a shoulder and elbow lock who’s creation seems to point to the early 20th century. 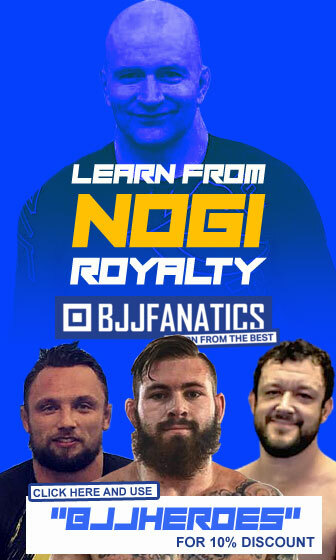 On this article you will find out more about the origins of the position and the way it entered the jiu jitsu community. One of the most common submissions in Brazilian jiu jitsu, the kimura lock has been part of grappling culture since the beginning of the 20th century. Here is a small account of the history of the kimura lock in Brazilian jiu jitsu, it’s roots and the reason behind the name in Brazilian culture. the donkey guard is a grappling position created by Brazilian jiu jitsu black belt, Jeff Glover as a way to taunt and frustrate his opponents, being first used against Tom Barlow at the ADCC tournament (2011). The position resembles a a closed guard in reverse, and has been commonly used by it’s creator since 2011. The toreada guard pass is the name given to a position utilized in Brazilian jiu jitsu and other grappling martial arts/combat sports, from which the top player can establish side control, escaping the guard. On this article you will find the history of this position, its origins, the top toureando guard passers in the history of the sport and see instructional videos of how to use the position. One of the most common submissions in modern day Brazilian jiu jitsu, the straight ankle lock, also called Botinha, Achilles lock, straight footlock among other names, became popular greatly due to the influence of one coach who, in the early 2010 decade, revolutionized the use of the position, improving it drastically. One of the most common chokes in Brazilian jiu jitsu, the The Ezekiel Choke or Sode Guruma Jime (in Japanese) is a common submission utilized by grapplers in which the attacker uses his own kimono sleeve to choke his opponent. The choke became highly popular in the sport of Brazilian jiu jitsu during the 1990’s as it is one of the few chokes/attacks that a top fighter can safely attempt from inside the guard of his opponent. The Ezekiel choke has many variations, being the “arm in Ezekiel” one of it’s most commonly seen in high level competition.